Idol Competition In Progress! Vote Now! Brand-new and unannounced even in Japan! 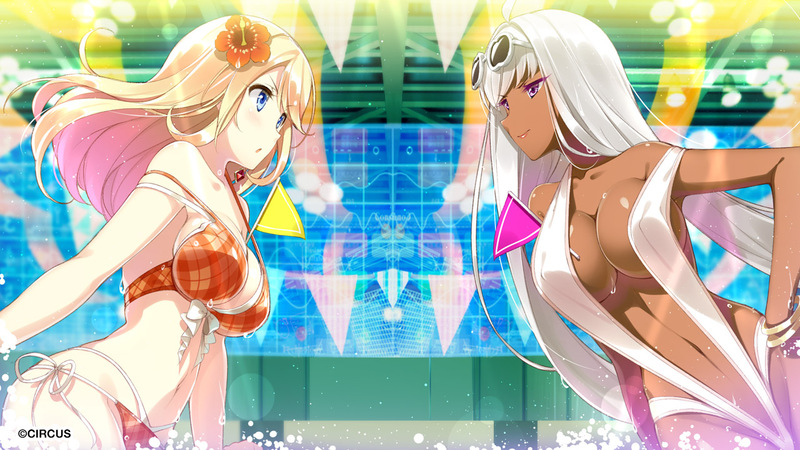 From the developers of the Da Capo and Dal Segno series, comes a brand new tale, Space Live! A bit of a parody on the competition between internet browsers, Space Live will be a treat for any fan of idol shows like iDOLM@STER or Love Live, with great detail and emphasis placed on the concerts, venues, as well as different events for the idols to compete in like capture-the-flag and the Confession Competition. Over 200 years in the future, humanity has abandoned reality and chosen to upload themselves into Net Space, a digital, interconnected world, divided into several factions surrounding different idols who compete every four years to win followers to their side.There's Macro Space's Ai E, a hardworking, easily flustered girl trying to regain her lost position; Goggle Space's G Chrome, a logical competitor using her wealth and data troves in a bid to secure the lead; Mosaic Space's Higitsune, a haughty, elusive idol enjoying the competition itself; Ai Space's Sarifa, an eloquent fashionista willing to bet it all; and Luna Space's Tsukikage, a minor idol hoping to finally gain some recognition. Buy it now! Get it on Steam!